Laporte Animal Clinic offers our patient form(s) online so they can be completed in the convenience of your own home or office. Compassionate, thorough care for your 4 legged, furred or feathered family members- Hometown, friendly service for you! If you live in Laporte, Fort Collins, Wellington or the surrounding area in Northern Colorado, then you have picked the perfect site to find a veterinarian. Your pet's health and well being is very important to us and we will take every step to give your pet the best possible care. Laporte Animal Clinic is a unique mixed animal clinic, offering compassionate, thorough care for all your pets, including dogs, cats, exotics of all sorts and horses(we offer horseshoeing services as well). We offer a friendly, personal, one-on-one, small town type of service that is difficult to find in this age of busy, impersonal, corporate businesses. Our veterinary clinic is located only 15 minutes from downtown Fort Collins in the quiet town of Laporte near the lovely Cache La Poudre River. We also have a haul in equine facility in the Waverly area. We enjoy communicating with our well-informed, well-educated, caring clientele. We would love to have you as a client, and will do our best to help you make intelligent, well-informed and balanced decisions about your pet’s care. Please tour the pages of this website to learn more about us, or better yet, stop by and visit with our friendly staff and doctors. We would love to meet you and your 2 or 4-legged, furred, scaled or feathered friends! We have a number of resources for you to learn about how to take better care of your pets. Browse around and look at our articles and information. The best veterinary care for animals always involves ongoing proper nutrition and prevention of diseases. We believe strongly in client education. If you want to ask a question call 970 - 490 -1999 or email us and we'll promptly get back to you. (Note: Emails may not be returned in the same day, if sent after 9 am or if involved questions are asked. We always recommend to set up an appointment for a physical examination if the question is about a health problem so the doctors can see your animal's in person and be able to give you an accurate assessment) Our Laporte veterinary office is very easy to get to, and you can find directions on our Contact Us page. You can also subscribe to our newsletter which is created especially for Laporte and Northern Colorado pet owners. In between your veterinary visits, your pet will benefit from you reading these free informative articles. At Laporte Animal Clinic, we treat your pets like the valued family members they are. New Clients receive $20 off their pet's first physical examination! Sign-up using the form or call us at 970 - 490 -1999 to take advantage of this exclusive offer. 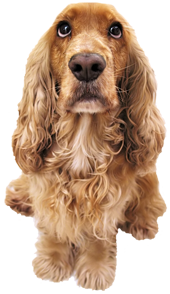 Ask us about Microchipping-the best way to get your lost pet home to you! Inexpensive, safe and easy to administer! We offer "Home Again" chips for all your pets-the chip is as easy to administer as a simple vaccination and can be done in a quick office visit-you will be asked to register and then if your pet is ever lost-they can be traced right back to you in a matter of minutes by any veterinarian or shelter that has a scanner!